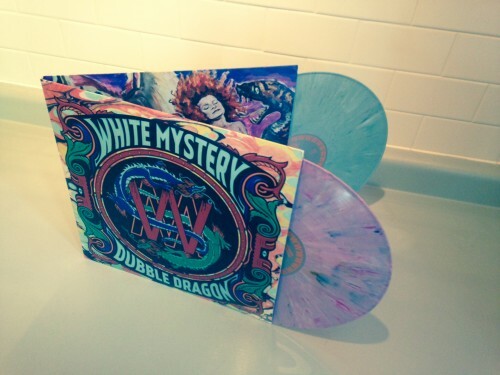 The White Mystery double album “DUBBLE DRAGON” on color vinyl is almost sold out! 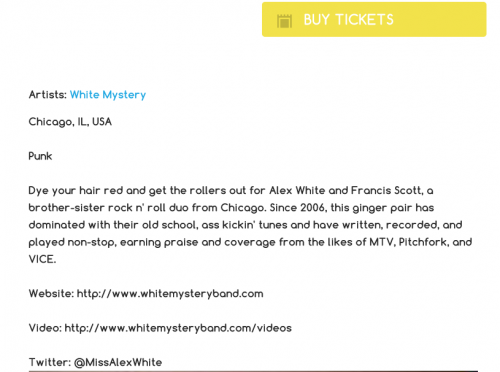 Spend $20 in the White Mystery SHOP and get $5 off your purchase. 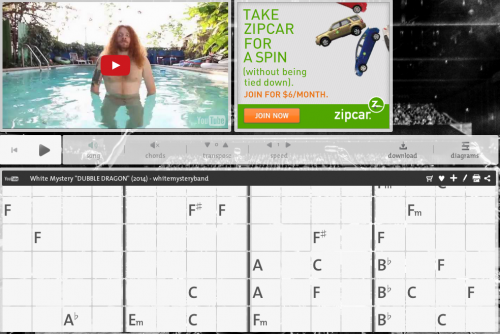 Offer lasts til October 1, 2014 at 4:20pm. 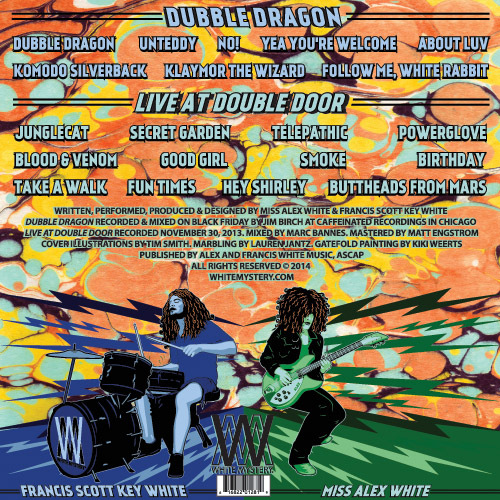 WHITE MYSTERY “DUBBLE DRAGON” is a double album and the fourth release from Chicago rock’n’roll heavy metal sibling duo redheads Miss Alex White & Francis Scott Key White. 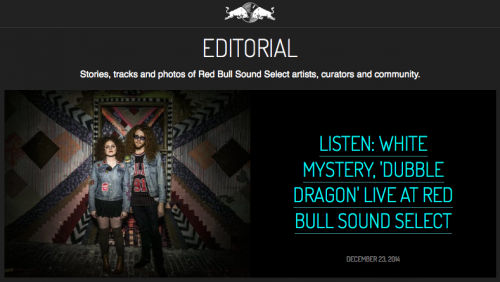 The most stoner, epic twenty tracks of 2014! 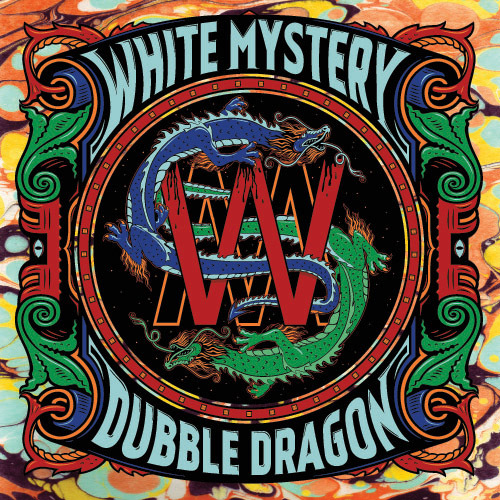 White Mystery “DUBBLE DRAGON” front cover by Tim Smith, marbled background by Lauren Jantz, centerfold painting by KIKI. 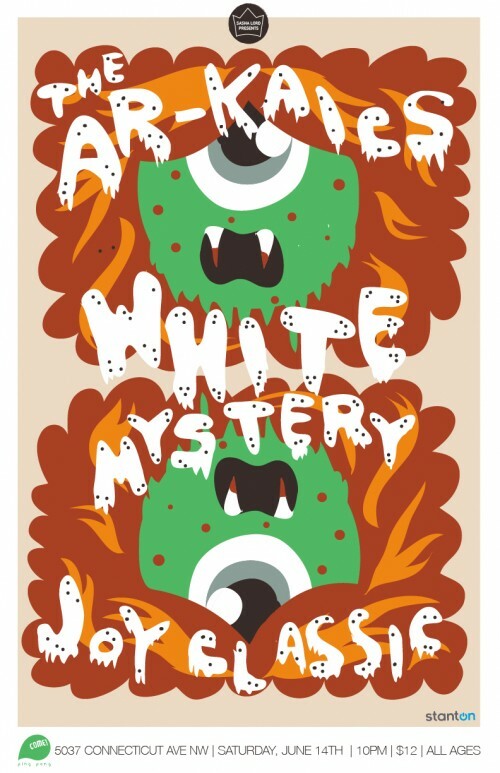 Conceptualized by White Mystery. 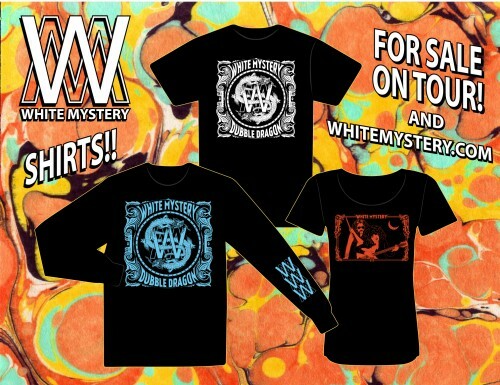 White Mystery is all grown up fancy, black rock’n’roll shirts designed by Tim Smith! 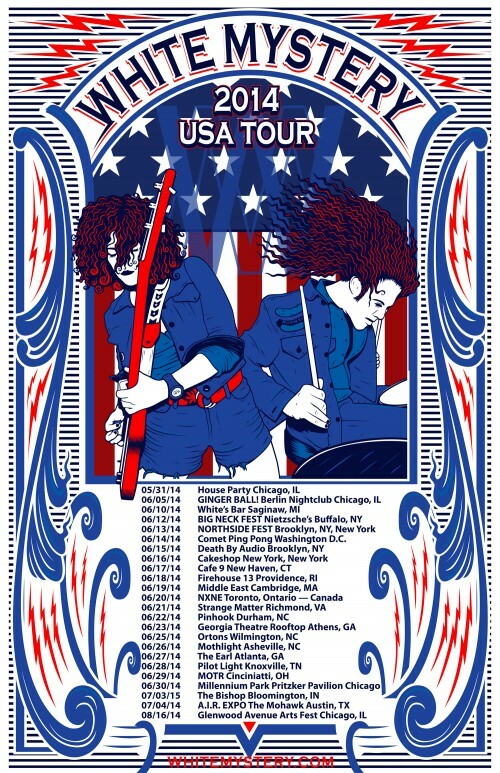 Order a baby doll tee, long sleeve heavy metal shirt, or rocker tee here.